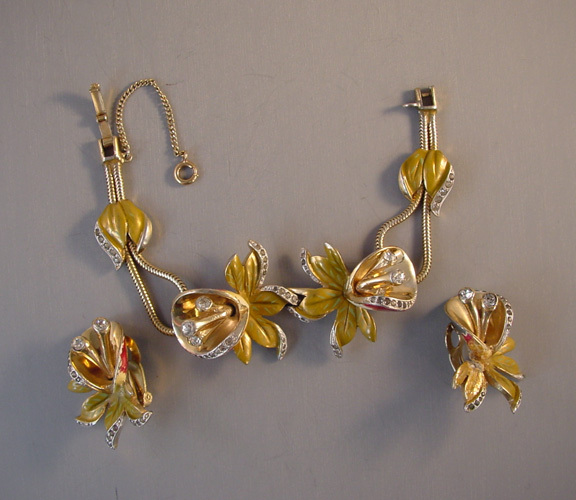 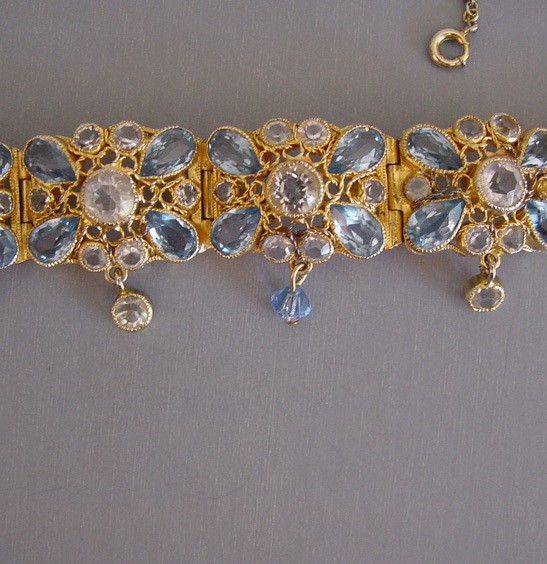 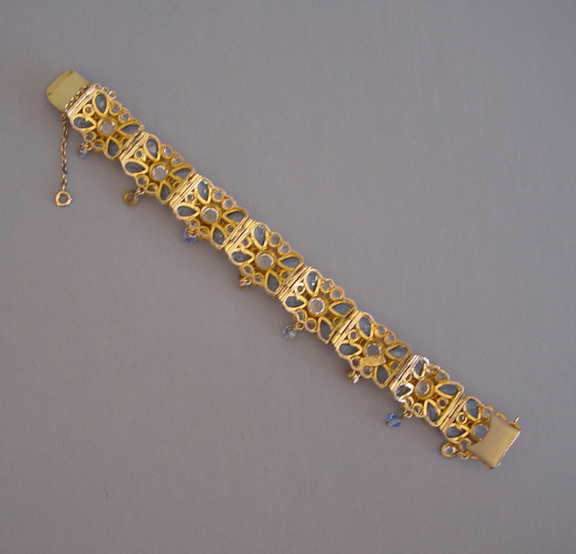 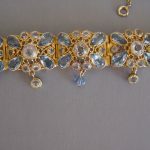 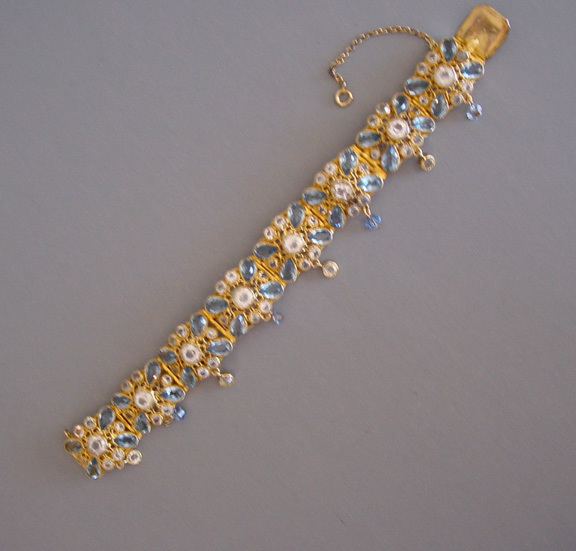 HOBE sparkling bracelet with unfoiled aqua and clear rhinestones set in yellow gold gilt hand fashioned wirework with the unusual feature of pendant drops on each link, circa 1940s. 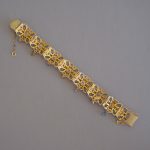 It includes it's safety chain, and is 7-1/4" by 2" including the drops. 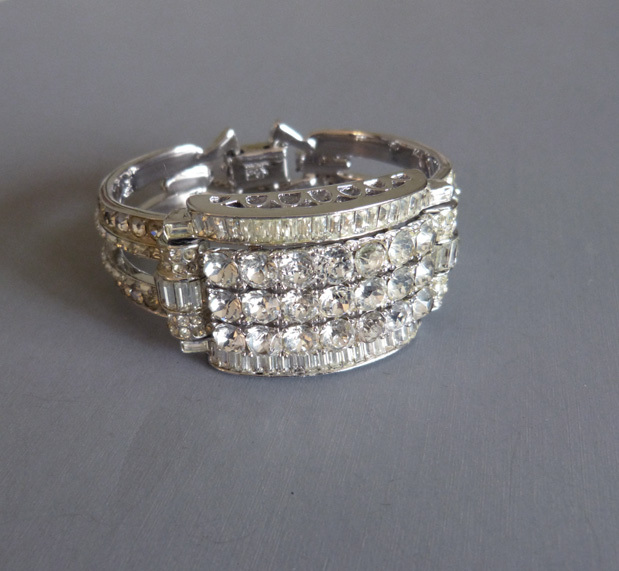 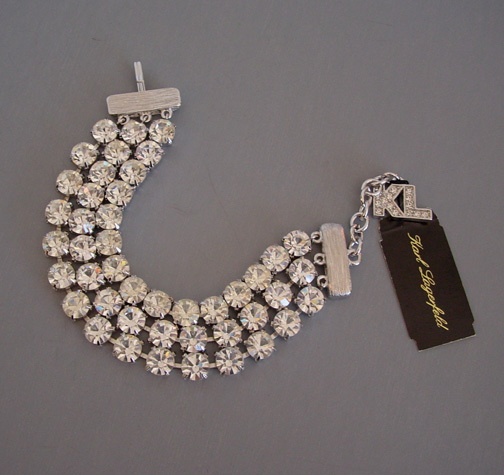 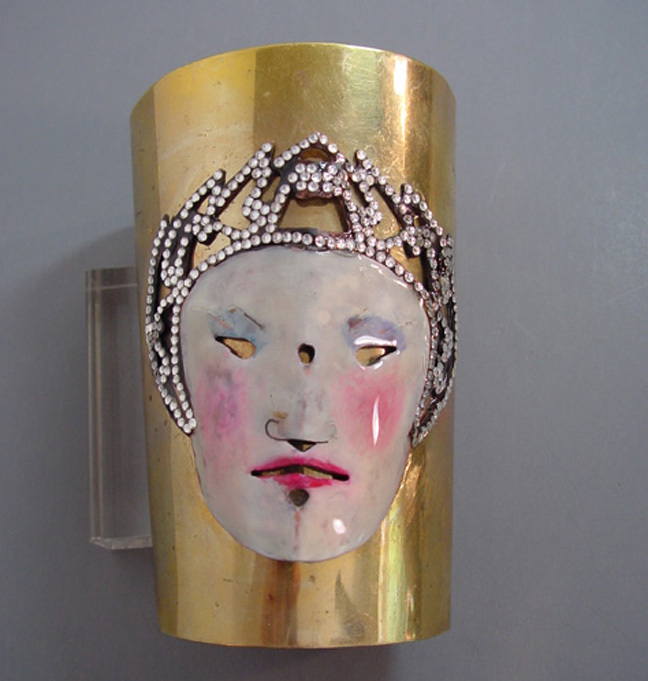 This is the first Hobe bracelet of this era that I have seen with the rhinestone drops.